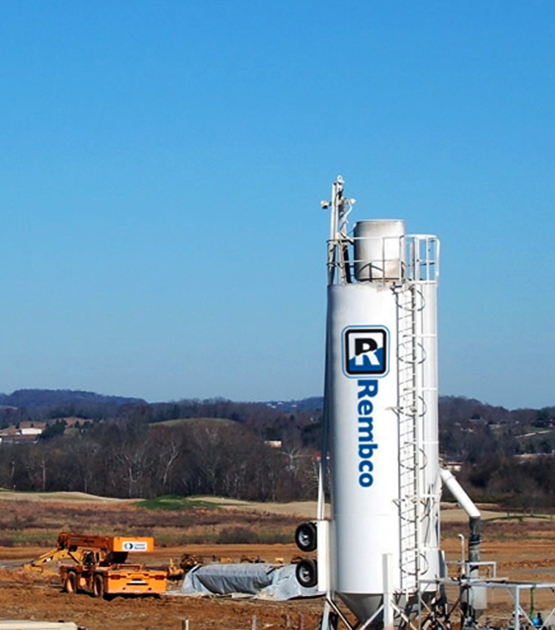 Rembco Engineering began doing business in 1982, entering the market as a specialty construction company with the engineering expertise to provide unique geotechnical services. In 1997, Clay and Denise Griffin moved into key leadership roles. Under their guidance, Rembco Geotechnical Contractors, Inc. expanded the scope of the company’s construction services and increased capacity. They added engineering and project management expertise, hired and trained additional workers, purchased bigger equipment and moved to a larger facility. They began to tackle projects that were much larger than Rembco had ever taken-on before. And they grew Rembco into a well-known name. From 1999 through 2008, Rembco experienced sustained, strong growth – providing services mainly to commercial clients in the areas of foundation support, soil stabilization and specialty grouting. Growth in our industry (and most others) dropped-off sharply during the recession of 2008 and retracted even further in the following year. By then, however, the entire Rembco team had taken deliberate steps to improve our efficiency and put us on very stable (substantially debt free) footing. That set the stage for us to thrive. By 2010, despite the still stagnant economy, Rembco’s financial performance was the best in the company’s 28 year history. As of this writing, we’re still on a steady upward trend. Today, Rembco performs geotechnical installations that conform exactly to the plans. We provide construction services that are compliant and accurate, without deviations. And we still provide customized, design-built geotechnical solutions – with personal attention from the owner. But we’re no longer a well-kept secret. The word is out! And we plan to keep it there.